This is a photograph of the timber truck that we travelled on to get to Gympie. I was born in Gympie in 1929 and have lived my whole life in Gympie and surrounds. 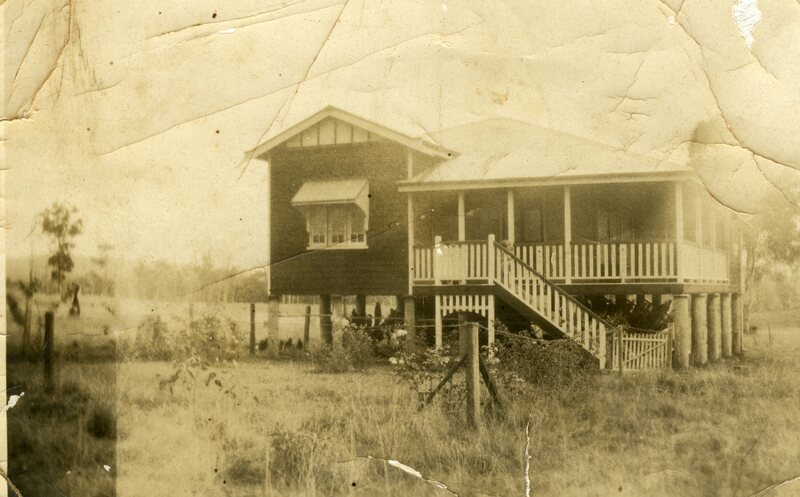 In our very early years our family lived in the very quiet area of Widgee. Many native animals approached our small home with wallabies and goannas being frequent visitors. Callers were rare. One of the few visitors was a Hindu travelling pedlar selling all types of merchandise who became a firm friend. 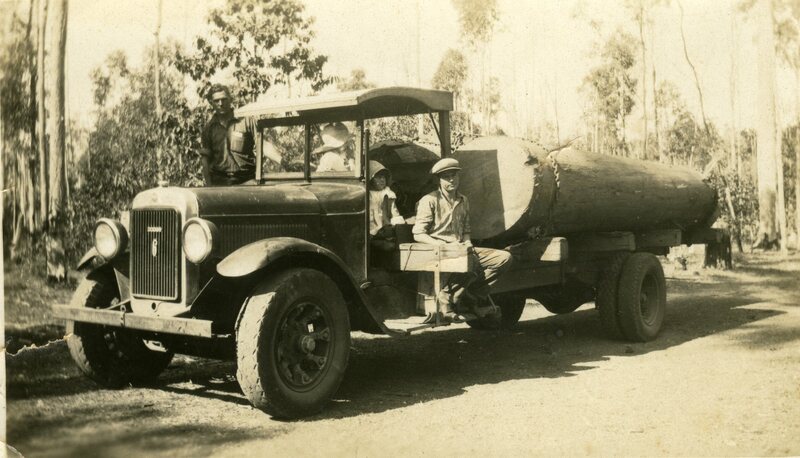 When we travelled into Gympie we managed to obtain a ride on a very large truck loaded with huge logs destined for the sawmill. Mary Street shopping centre was dominated by three department stores, Abdy Bros., Rankin & Careys and Cullinanes. These stores carried a large assortment of merchandise. At Cullinanes, in particular, one could purchase anything from a button to a new tailored man’s suit. Their basement contained a tailoring department presided over by two fully qualified tailoresses. It was also possible to have some furniture made to order. Sometime later we moved to Clematis Street where the butcher, the baker and the milkman called and delivered. Also on occasion Mr. Bonney in horse and cart brought around his home -made ice creams. It was possible to buy a penny (1d) ice cream in the tiniest little cone. At his mini-dairy located at the corner of Cross and Clematis Street it was possible to buy some fresh cream for special occasions, if you presented with your own container. There were no plastic bottles or cardboard cylinders as in today’s supermarkets.